Andreas made us a trug 'mood board'. Andreas Lang of both FOAG and Public Works is doing a wonderful job pushing forward with the new Honesty Stall for Abbey Gardens (see above) - he's managed all the different problems we have with getting the right thing by splitting the design between a stall in the fence, a mobile structure and our own bespoke trugs. 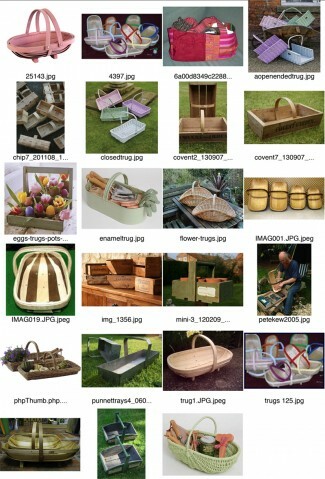 I couldn't stop myself posting this trug 'mood board' he put together I love it so much!